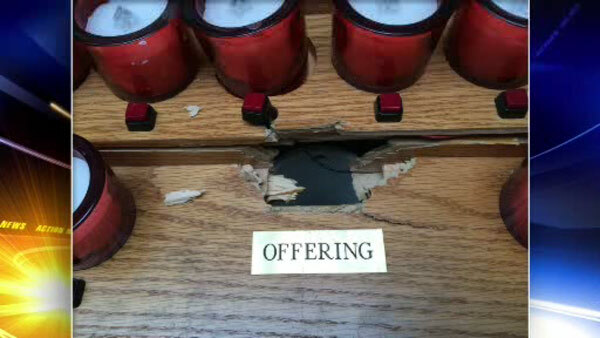 TOMS RIVER, N.J. (WPVI) -- Police in Ocean County are looking for the people who caused thousands of dollars in damage to a church. It happened just hours after a special service tied to the papal visit. Saint Joseph's Church on Hooper Avenue in Toms River simulcast the pope's Sunday Mass for parishioners. But sometime overnight into Monday, police say someone broke in and stole collection boxes holding donations for the poor. The thief also caused a couple thousand dollars' worth of damage.